Meditation is becoming increasingly popular in the west, now that the positive effects on our physical, mental and emotional health are being scientifically proven. Meditation changes our brain wave patterns, taking us into a state of consciousness conducive to deep relaxation, healing, acceptance and peace . In recent years mindfulness meditation training has become very popular in the workplace. Mindfulness is based on focusing the awareness on what is happening in the present moment, bringing about greater acceptance, non judgement, clarity and focus. Other benefits of meditation include: *assisting anxiety, depression, insomnia *boosting immune function, * reducing stress, *improving brain function related to memory and higher perception *reducing stress. Qigong is a complementary approach to health, wellbeing and longevity. The practise combines exercises postures, breathing techniques and meditation to assist the flow of energy ('QI") through the body and enhance vitality. The benefits of qigong to improve a wide range of physical and mental health issues, have now been extensively validated by western medical research. Benefits: *Reduces stress, *improves immune, kidney and heart function, *increases bone density, *stabilises blood pressure, *improves metabolism and blood circulation, *increases mental activity and memory, * reduces the effect of aging, *assists in cancer recovery (has been incorporated into hospital programs for cancer recovery). Qigong Practice assists us to experience enhanced wellbeing and vitality, greater clarity and a deep sense of peace in our lives. Laughter yoga is a great way to support your group to have fun and shift into a positive state of mind and improved sense of wellbeing. Laughter yoga is a combination of simulated laughing exercises, movement & breathing to relieve stress, have fun and re-energize. These laughter activities greatly enhance connection and rapport within the group and diffuses emotional tension. Laughter been scientifically proven to increase endorphin and serotonin levels, (feel good hormones), reduce cortisol (stress hormones), improve immune function, blood circulation and heart function and is wonderful for our social and emotional wellbeing. Massage therapy has been used as a therapeutic measure for generations, across cultures throughout many regions of the world. Today massage is an effective model for treating stress, anxiety and muscle tension. The benefits of massage to the entire body is now well researched, including relieving aches and pains, calming the central nervous system, improving circulation, increasing mobility, flexibility and posture, whilst also increasing the release of ‘endorphins’ (feel-good chemicals) in the body. Massage assists the mind to calm and be in the ‘present moment’, reducing stressful thoughts. Our programs introduce Seated Chair Massage (fully clothed) in our sessions to enhance the groups relaxation and overall sense of wellbeing. To commit to self care is to value yourself, your relationships and your professional work. Self care is about actively looking after your own mental health and wellbeing so that you can more effectively support yourself, your family and those you may care for. Practising self-care is important for personal and professional development helping you to cognitively, physically and emotionally ‘bounce back’ each day over the long term. 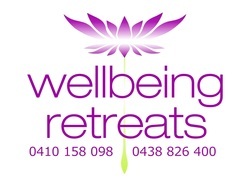 Our programs offer simple and practical natural therapies to support holistic health and work/life balance . Relaxation is a process that decreases the effects of stress on your mind and body promoting a better quality of life and improved health. Our programs assist groups to recognise stress 'symptoms' and explore solutions to increase resilience and effectively manage the challenges and pressure of work/life demands . A variety of relaxation techniques are introduced to manage stress more effectively. Regular practice of relaxation relieves muscle tension, reduces anxiety and brings a greater sense of balance and peace in life. Reflexology is an applied pressure technique to the feet and hands, promoting a state of a calm throughout the body and mind. By aligning the functioning of various organ and muscle systems, reflexology can increase metabolism and energy within the body. Some of the benefits of reflexology include its ability to stimulate nerve function, increase energy, boost circulation, induce relaxation, eliminate toxins, prevent migraines, relieve sleep disorders, reduce depression and pain. An interactive reflexology session will demonstrate how pressure applied to feet and hands can assist the general wellbeing of the body and mind. Co creation is encouraged within groups to enable genuine collaboration, sharing of ideas and a sense of team connection. Healthy group dynamics can be enhanced through a greater understanding of each other, supporting team members to feel inspired, connected and empowered to express their individual and collective potential. Stretching improves flexibility, relieves pain and energises the body and mind. It can be simple and benefit those of all ages. Stretching releases dopamine which helps you feel happier and more positive about the world. Stretching nourishes the body, loosens muscles and tendons and improves your concentration levels by increasing the blood flow to the brain. Stretching is excuse proof and can be done anywhere, anytime. Learn a gentle stretch routine to assist the body to relax and become more supple. Nature is known to have a restorative effect on our physical, psychological, and spiritual health. Being in nature is liberating - it enables us to connect to the intrinsic values of fresh air, physical activity and the natural environment. It gives us an opportunity to take a break from technology and reconnect to what is really essential in life. Bushwalking promotes relaxation and helps us to become more in the present moment. Guided by our qualified Interpretation Ranger the group will experience & learn about the unique features of the Australian bush, whilst enjoying the peaceful and relaxing benefits of nature. (Retreat only).